The Youth which represents the most vibrant and dynamic segment of the population has been given a new hope through Rashtriya Yuva Sashaktikaran Karyakram (RYSK) of the Department of Youth Affairs, Ministry of Youth Affairs and Sports during the year. Series of initiatives taken by the Deptt. of Youth Affairs have resulted in greater participation of youth in the Nation Building. Eight Schemes are merged into a new ‘umbrella’ Scheme called “Rashtriya Yuva Sashaktikaran Karyakram (RYSK)”. 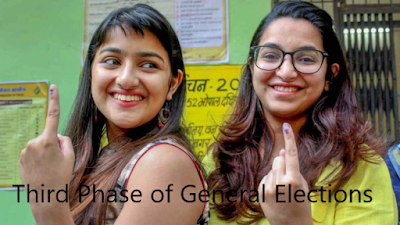 NYKS, with about 36.22 lakh youth enrolled through 1.68 lakh youth clubs, has been working all over the Country to develop the personality of the youth and to engage them in nation-building activities. 8.47 lakh saplings were planted by NYKS volunteers. 13,432 units of blood was donated by NYKS volunteers. 1,764 education in basic vocationsand soft skills programmes were organised, involving 51,508 youth. 1694 Youth Club Development Programmes were organised, involving 83,514 youth. 1336 Sports Meets at Block level were organised, involving 1,77,688 youth. 8126 Programmes were held to celebrate days of national and international significance, involving 11,05,136 youth. 230 District Youth Conventions were organised, involving 1,84,5024 youth. International Day of Yoga on 21st June 2018 was observed by NYKS at 38,356 locations across India by involving 23.68 lakh youth. Swachhta Programme was conducted at 1,15,437locations involving 12,07,686youth for cleaning of 8,577 Schools / colleges, 7,797 Hospitals and 21,905 statues. Water Conservation - 13,757 awareness creation programmes were conducted by involving 3.9 lakh youth; 2430 new water bodies were created and 3437 water sources were maintained. Inderdhanush Programme - in which 59,961children were immunized with the help of service providers. National Unity Day and Run for Unity Programme was conducted by district Nehru Yuva Kendras in India wherein 2.6 lakh youth were involved. Swachta Hi Sewa Campaign in East Champaran - Swachta Hi Sewa Campaign was launched by district Nehru Yuva Kendra, East Champaran (Bihar) from 14th September to 25th September, 2018 in which more than 300 youth participated. Different types of activities such as Cleaning of Moti Jheel, Cleanliness drive to clean streets, Railway Station and common places. Clean Ganga - NYKS is working with National Mission for Clean Ganga to spread awareness for cleanliness & sanitation in villages along Ganga River. Ganga Vriksharopan Saptah (Plantation Week) was carried out in 53 selected blocks of 4 States of Uttarakhand, Uttar Pradesh, Bihar and West Bengal. 82,819 sapling were planted in collaboration with Forest Department and National Mission for Clean Ganga from 9th July to 15th July 2018. Ek Bharat Shreshtha Bharat is being organized Inter State Youth Exchange Programme in 15 pairing States. So far, 4 such programmes have been completed in the states of Telangana, Punjab, Kerala and Chhattisgarh in which 401 youth from pairing States participated. Rashtriya Poshan Abhiyan Programme - NYKS was the major partner for implementation of Poshan Abhiyan programme across the country. Different types of activities such as Gosthi, seminars and Discussions, Lectures by Eminent Resource Persons on Focus Areas of Poshan Maah viz. pregnancy care, right age of marriage, child care, birth spacing, immunization, breast feeding upto 2yrs and complimentary feeding and Maintenance and adequate sanitation facilities in the village, etc were organized. Besides these, Door to door campaigning in the village focusing on Focus Areas of Poshan Maah, Rallies, Run, Padyatra, Cycle Yatra were organized. The efforts of Ministry of Youth Affairs & Sports and NYKS were appreciated at the highest level. Ministry of Women and Child Welfare awarded for the exemplary work. Parakram Parv, 2018 – NYKS has organised various programmes and activities and participated in events to mark the Second Anniversary of Surgical Strikes during 28th September 2018 to 30th September 2018, organised by the Ministry of Defence, Govt. of India in various locations across the country. More than 1786 youth & officials of NYKS participated in the programme & activities across the country. Health Mela- With the support of Nehru Yuva Kendra Sangathan, Heart Care Foundation organised 25th Perfect Health Mela on 23rd October, 2018 in Talkatora Stadium, New Delhi. In this programme, 1000 youth from NYKs participated. Well known Artists, Specialists, Doctors and Social Workers were also present. 10. Visit of 18 member Indian youth delegation to S.Africa to participate in BRICS Youth Summit from 16-20 July, 2018. 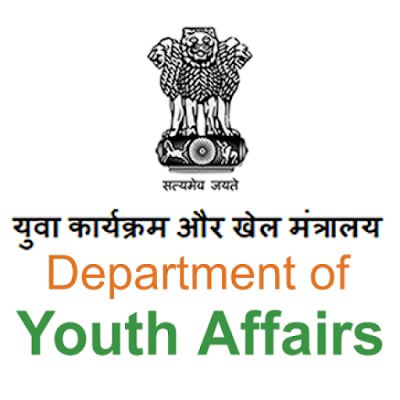 National Programme for Youth and Adolescent Development (NPYAD) along with other Schemes of the Ministry of Youth Affairs and Sports has been merged into one ‘Umbrella Scheme’ called Rashtriya Yuva Sashaktikaran Karyakarm (RYSK) for providing support to Government/ non-Government organisations for undertaking activities for development of adolescent and youth. During financial year 2018-19, financial assistance has been given to 5 Voluntary Organisations including All India Level Organisations. Youth Pravasi Bhartiya Diwas will be held on 21st January, 2019 at Varanasi, Uttar Pradesh. The 6th North East Youth Festival was organized at Agartala, Tripura from 15th to 18thNovember, 2017. This Year Tenzing Norgay National Adventure Award 2017 was conferred to 10 (Ten) Awardees for adventure in Land, Water, Air and Life time Achievements. NSS has been restructured as a Central Sector Scheme w.e.f. 1.4.2016. The Scheme is now a Central Sector Scheme. NSS Volunteers have been actively participating in Swachh Bharat Mission activities across the country. During the Swachh Bharat Pakhwada observed by the NSS Volunteers, they cleaned 2276 Hospital, 1713 Dispensary, 1665 Community Centres, 534 Old Age Homes, 554 Historical Places, 236 Orphanages, 263 Centres for Disabled, 748 Railway Stations, 3660 Bus Stops, 1339 Statues and 801 Archeological Sites and Tourist Places. Film making and Essay Competition was organized by the Ministry of Drinking Water and Sanitation in collaboration with Ministry of Youth Affairs and Sports for NSS Volunteers. Approximately 27000 NSS volunteers participated in 100 Hours Swachh Bharat Summer Internship Programme Organized by Ministry of Drinking Water and Sanitation. On the occasion of International Day of Yoga (21.06.2018), about 25.78 lakh NSS Volunteers participated in various yoga programmes across the country. 18,79,675 saplings were planted by NSS volunteers. 1,91,581 units of blood was donated by NSS volunteers. 9402 health/eye/Immunization camps were organised, in which 464622 NSS Volunteers participated. 38,710 Awareness programmes/rallies were organised on issues of relevance to the community, in which 25.89 lakh NSS Volunteers participated. 62.50 lakh volunteer-hours of Shramadaan was undertaken by NSS volunteers during the year. 34,728 NSS Volunteers were imparted Training on Self -Defence. Awareness on GST and Digital payments were organized by NSS Units throughout the country. During the period, 162 training/capacity building/ workshop, conference and other programmes were organized involving 6,663 participants including NSS Officers, NYKS Officials, Faculty/ Teachers, Officials from State Govt. industries department & executives from NGOs etc. Out of the above programmes, 35ToTprogrammes were organized through which 1023 functionaries of NYKS and other officials of NSS were trained on themes such as Environment Education, Employability Skills, youth health, peace building, ICT based entrepreneurship for young rural women, education policies and programmes, life skills etc. RGNIYD has funded 18 Major Research Projects and 8 Minor Research Projects to the various Universities/Institutes.